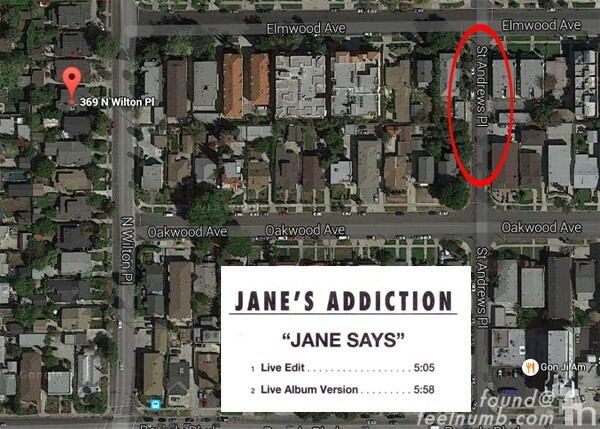 The house is located in the popular revitalized Larchmont Village area of Los Angeles and still features the staircase where this photo of Jane Bainter was taken and included on the lyric insert sleeve inside of their self-titled debut album Jane’s Addiction. 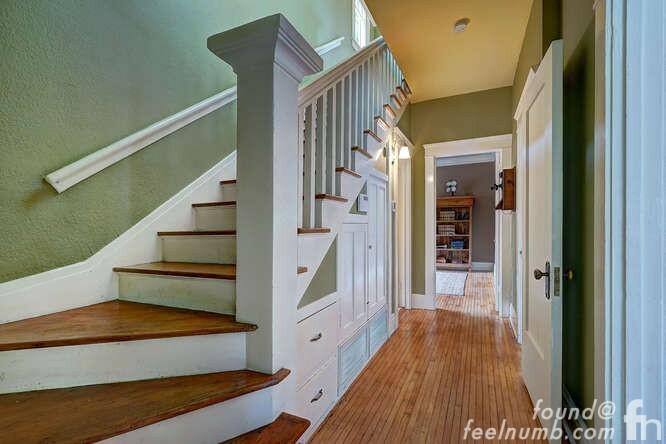 The beautiful house was recently put up for sale and that is where these photos from inside the house emerged. 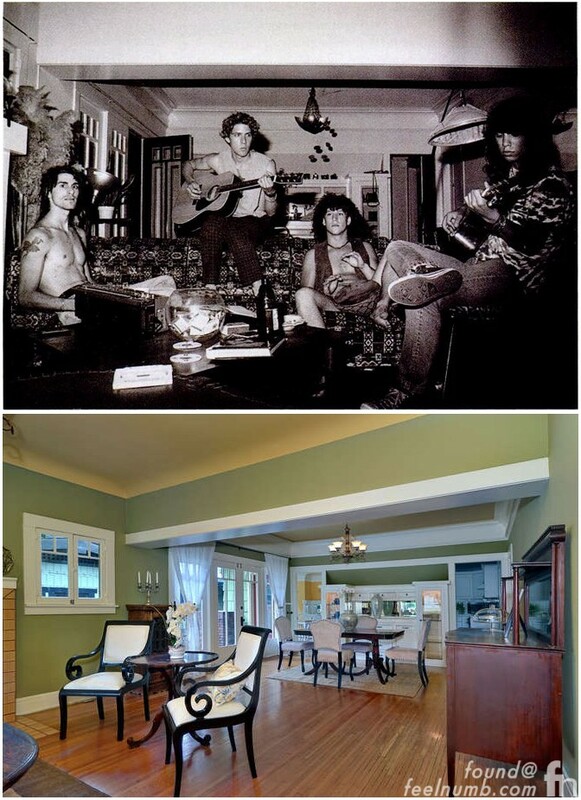 Check out this great one of the band (Perry Farrell, Eric Avery, Stephen Perkins & Dave Navarro) in the living room along with a current photo of the same living room area now. Sadly, Jane Bainter never was monetarily compensated for her likeness, logo or for the band name and song. 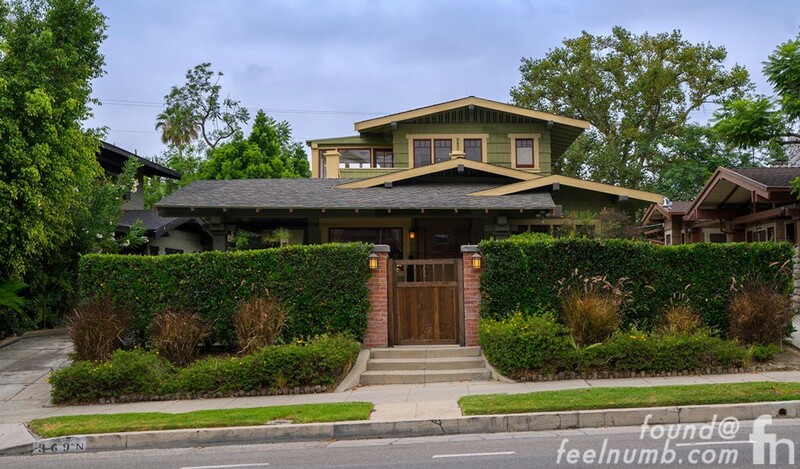 Read that drama in the story below.